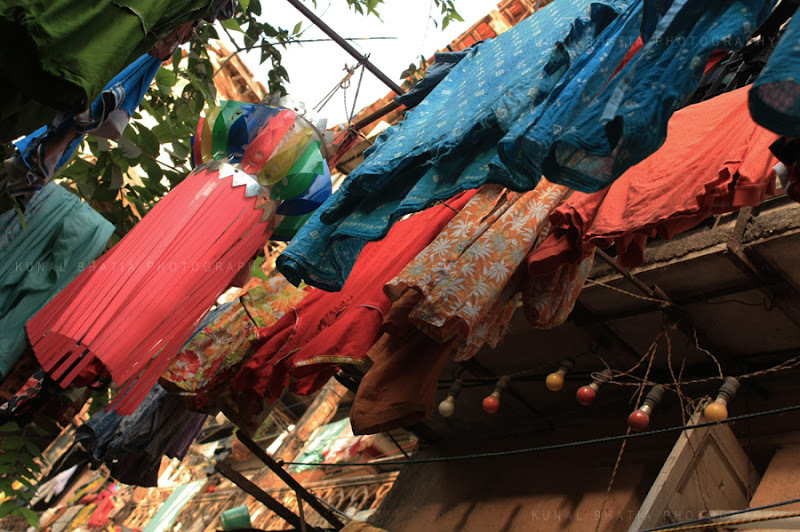 clothes on the clothesline in harmony with diwali-lights and decorations. at khotachiwadi in south-central mumbai. khotachiwadi is a neighbourhood of the east indian community with a bunch of quaint old wooden houses. in mumbai's wadis and gaothans life seems to move at a pace very different from the bustling city that envelops them. Wow, what a beautiful photo!! Nice shot, you have a great blog from what I've seen so far! Thanks for the comment!